Not my turn – phew! 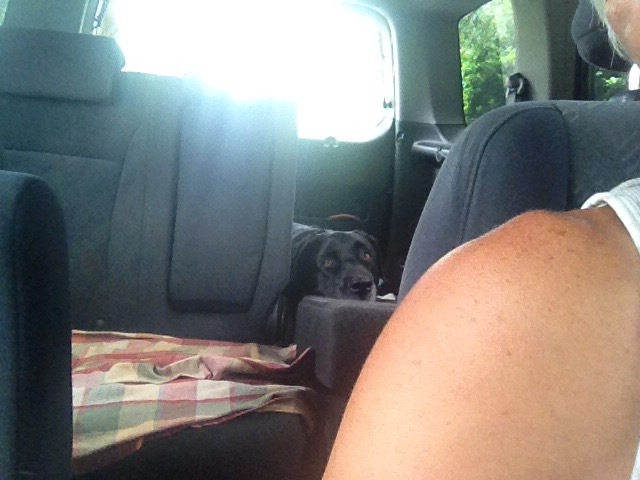 Look who is hiding behind the back seat. My mother took Sparky in for his turn at the vet, so me and my cowardly lion are waiting in the shade, as far from the clinic’s door as he can get.